Before rounding up at the drama school where he gained knowledge about the performing arts, Elliot Knight got his first call to take up a lead role in a significant movie. He started acting in 2011 and though his filmography is still a far cry from what most popular actors have accomplished, the British screen star is gradually sweeping his way to the top. He has explored the horizon in both Hollywood and the English film industry. Let’s explore the lesser-known interesting details about the British actor here. The actor’s parents welcomed him into the family on July 10, 1990, in the city of Birmingham, the United Kingdom. Perhaps an only child, Elliot has not mentioned if he has siblings he may have shared his childhood memories with. He was raised by teachers – his father Stuart who works at Broadway Secondary School in Perry Barr, Birmingham and his mother Lorna Knight. Typical of a child raised by educationists, Elliot smoothly graduated from King Edward VI Aston School after which he furthered at the Manchester Metropolitan School of Theatre. He earned a BA (Hon) degree in 2011 after completing his studies at the drama school but a degree was not the only thing he came home with. By the time he graduated, his dream of pursuing a professional acting career was already taking shape. In June 2011, news emerged that Elliot Knight would be starring in his first professional role and he wasn’t even done with his training. Sky One made the announcement, stating that the British star had bagged the lead role in Sinbad. His titular role in the television drama lasted for 12 episodes and announced his presence to movie lovers. The series which premiered in July 2012 remains one of the most popular projects he has embarked on. In 2013, he played the role of Charlie O’ Brien on the BBC crime drama By Any Means and in 2015, he picked up a recurring role in the fifth season of Once Upon a Time, appearing as Merlin. 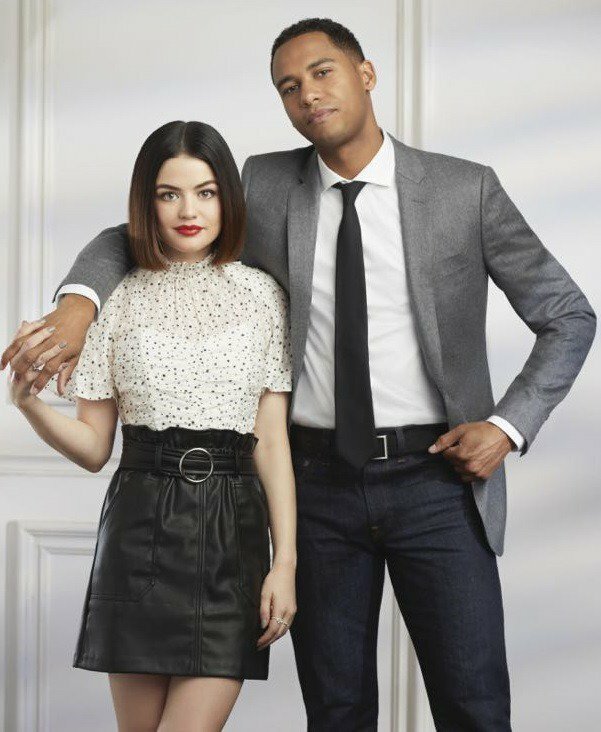 His next big role came in March 2017 when he joined the cast of Life Sentence as Wes Charles. His part on the CW show was aired in 2018 in 13 episodes. He also played a guest role in Titans the same year. Apart from his parents identified as Stuart and Lorna Knight, the Birmingham-born actor who has mixed ethnicity has not shared further information about more family members. He seemingly grew up as an only child of the family. Additionally, Elliot Knight is yet to start his own family. Though he has been spotted with some beauties in the past, as of the time of updating this piece, the Life Sentence star is yet to confirm any of them as his girlfriend. He prefers to allow the spotlight to focus on his booming career and we totally understand. Any revealing information about his personal life will be made available here once it’s out. Watch this space for more. At 6 ft (182.9cm) tall, Elliot Knight can easily pass as one of the tallest in the movie industry. Although his body weight is not known, he sports an athletic body build that leaves imaginations running wild about what a shirtless Elliot would look like. Furthermore, the actor has dark brown eyes and black hair, perfected by his toned skin and ripped body. 1. In 2014, Elliot Knight spread his tentacles to Hollywood, debuting on TV in How to Get Away with Murder. He joined the cast of the ABC series as Aiden Walker in two episodes. 2. Asides his appearances in series, the actor also has credit in several made-for-TV movies. Some of the movies in this category include The Advocate and Dangerous Liaisons. 3. While in college, Elliot took classes in clowning and stage combat. 4. To prep himself for the role of Sinbad, Elliot resorted to previous cinema incarnations of the fictional character. 5. While filming in Malta for Sinbad, he missed his graduation ceremony, although he completed his studies. 6. He is a King Edward VI Aston School Hall of Famer, admitted in 2012.